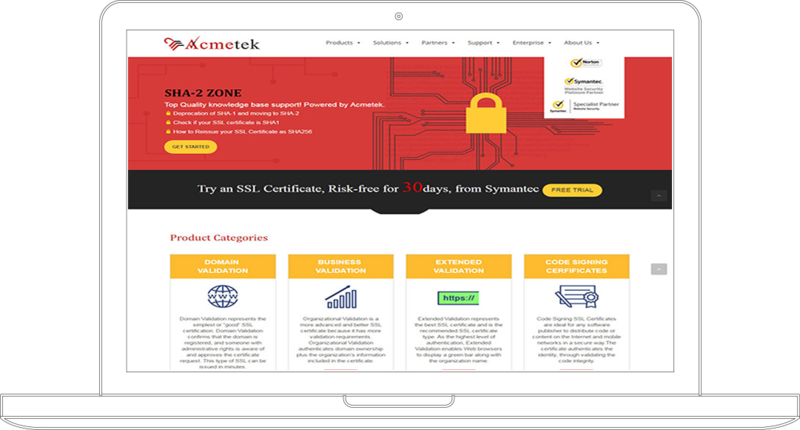 Acmetek is a Symantec Website Security Solutions Authorized Distributor and a Platinum Partner. Thery offer all 4 Brands of SSL Certificates, Symantec , Thawte , GeoTrust and RapidSSL. 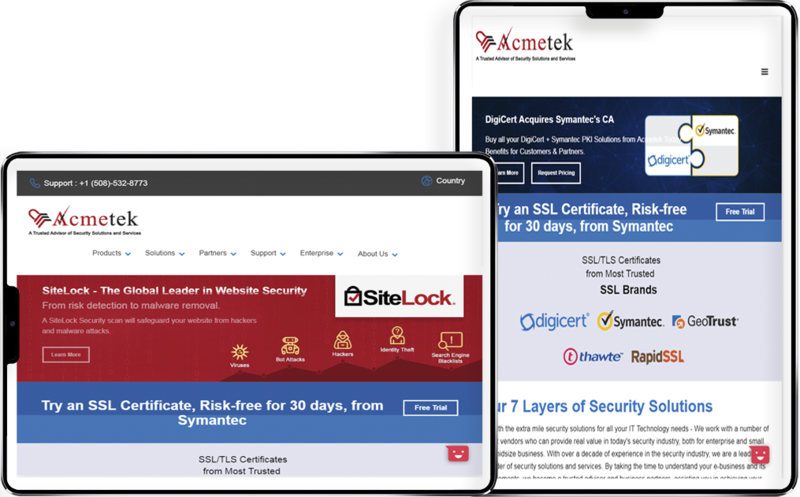 Acmetek started its journey into Website Security Solutions mainly focusing on SSL in 2010 as a result of a simple observation: SSL has evolved over the years, but Technology Distributors and Businesses have not adapted. This mismatch led the founders of Acmetek to create the vision for the SSL experience and to develop Channel Enablement Model to support it. 1. Secure & Responsive design. 3. Designed to present their products in a customer friendly way. Presented their various product categories Website security, DDOS protection & Content Delivery Network. Timeline for the project was set to 4 weeks to completion.